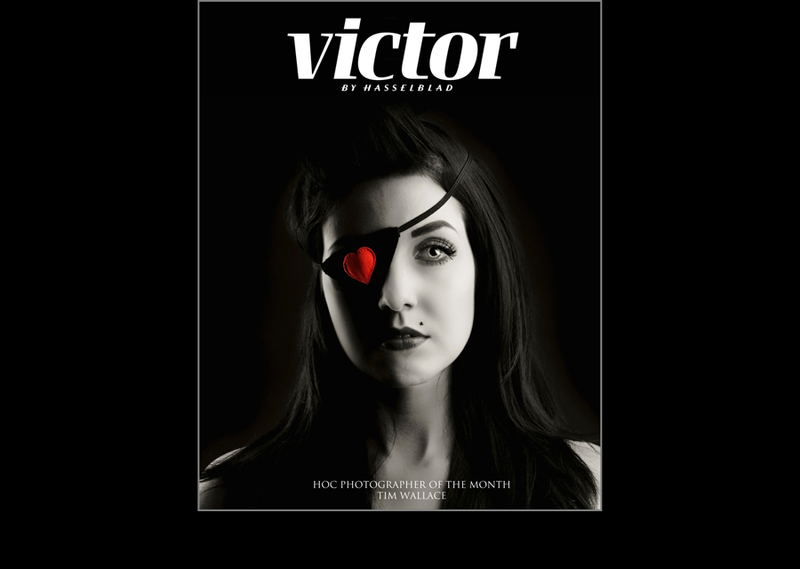 In the world of photography there are few names that more respected and synonymous with photographic quality more than that of Hasselblad and their monthly publication 'Victor'. In this months November edition we are delighted to announce that photographer Tim Wallace has received the Hasselblad Photographer of the Month Award and has again been featured with his work in the infamous Victor publication based in Germany. The publication has a truly Worldwide readership including art directors and agencies and is the central showcase for what is perceived to be the best work currently being created within the industry. It is rare for a photographer to be chosen to be featured from the thousands of submissions that are made each month, and back in April of 2010 Tim was awarded a 16 page feature to showcase his work, one of the largest to ever be given. This additional award from HOC has meant that he is again featured in the November edition which sets somewhat of a record for being featured not only twice but also in the same year. The winning piece of work was shot as part of a project that Tim worked on recently entitled 'Little Miss Innocent', a retro modern look at the fashion industry of the 50's and the use of fur at this time and received the most votes globally from the public to pick up the prestigious award. Tim- "I'm delighted and somewhat humbled to receive this award especially as it was made for a subject base that is not strictly within my specialist field. 'Little Miss Innocent' was a project that I worked on recently to shoot a modern retro style group of images to show the use of fur within the fashion industry in the 50's period. I wanted the project to have a modern twist and yet maintain quite classic feel in some ways, I feel it has a good mix of both and while being controversial it has really been well received which is always great to see. Victor, and having work published, is one of those career milestone moments I guess and I fully appreciate that many photographers never see their work appear in Victor so to have so twice is a real honour and I can honestly say that I am both thankful and lucky to work with some amazing people."